In a tell-all interview with Power FM this afternoon, Winky D told the world he stopped taking beef a long time ago. According to The Gaffa President there never was a tiff between him and Snipper Storm and Jah Prayzah. He said these arguments or fight are just some of the shades thrown at artists by people. They are insinuations. “Winky D does not have any beef with anyone in the industry. As far as I know from my side there is no beef between me and snipper storm maybe from his end. 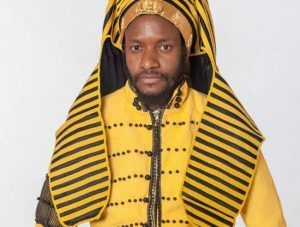 I don’t know,” said Winky D.
When pressed by Chamvary, the lunchtime rocker to respond to claims of competiting with fellow musician Jah Prayzah case in reference are claims of how he did a spotlight grab through the launch of his single paperbag on trace Tv which was released on the very day as Jah Prayzah’s Chitubu album launch. The muso responded by saying he does not have control over decisions made by Trace Tv . He pointed out the music channel is the one that decides air play of songs that are sent to the channel. “Trace Tv is the one that decides when and slots at which the songs are played. I don’t have control over what is decided there,” said Winky D.
Catch the live video interview on the power fm Youtube channel and on the facebook page. Make sure you check it out !